Reverend William Pettigrew was an Educationist and Scottish-British Christian Missionary, born on 5th January, 1869 at Edinburgh, Scotland. He was bought up in a deeply religious Anglican family attending Bible camp every week and it was at the Bible camp where he found his passion for Missionary work. He received his medical missionary education at Livingstone College Leytone, England and also underwent training at the Ardington Aborigines Training School. During the First World War William Pettigrew served in the Army as a Captain. Due to his work for the advancement of public interest in India the British Monarch honored him with the medal ‘Kaiser-I-Hind’, which translates to ‘Emperor of India’. In 1890 William Pettigrew arrived in Calcutta (now Kolkata), India, working under the Ardington Missionary. He was accompanied by three other Missionaries and a Doctor, they were received by Reverend and Mrs Dalmasna and together they worked among the Bengalis. During his work among the Bengalis William Pettigrew started to gain better understanding of the Christian religious denominations and converted to Baptist Protestant denomination. It was Reverend Wright Hayna who baptised William Pettigrew into the Baptist Faith. The Manipur Massacre happened in 1891, at the time William Pettigrew was working with the Baptist Missionary in Dacca. However after hearing about the massacre he prayed fervently to go and work in Manipur, this was made impossible by the Manipur Political Agent at the time. As he was so inspired to work in Manipur, he decided to travel to Silchar in 1892 to learn the Manipuri Language and was fortunately permitted to carry out his Missionary work in Manipur on 6th February, 1894. The first course of action William Pettigrew took was to open a Primary School in Chingama and enroll 50 students; he also began working under the American Baptist Foreign Mission Society. However upon his arrival in the plain region of Manipur (Imphal), William Pettigrew was not permitted to preach Christianity. This resulted in William Pettigrew spending two years learning and writing Meitei Primers, Grammar, Basic Arithmetic and English-Bengali-Manipur Dictionary. Thereafter in the Singjamei Colony, William Pettigrew set up his second Primary School, which is now known as Pettigrew Junior Higher Secondary School. Amongst many of William Pettigrew’s achievements the most outstanding is his translation of the New Testament in Tangkhul dialect of Ukhrul, which was published in 1926 making it the only Holy Bible published in tribal language of Manipur. For his extensive work in scripture translations, William Pettigrew was honored as a member of the British and Foreign Bible Society in 1928 and then elected as a member of The Asiatic Society of Bengal in 1930. His other literary achievements include ‘Manipuri (Mitei) Grammar with Illustrative Sentences’ and ‘Tangkhul Naga Grammar and Dictionary (Ukhrul Dialect) with Illustrative Sentences’. It was on March 1933 William Pettigrew completed his Missionary work in Manipur and returned back to England and ten years later on 10th April 1943 he passed away. 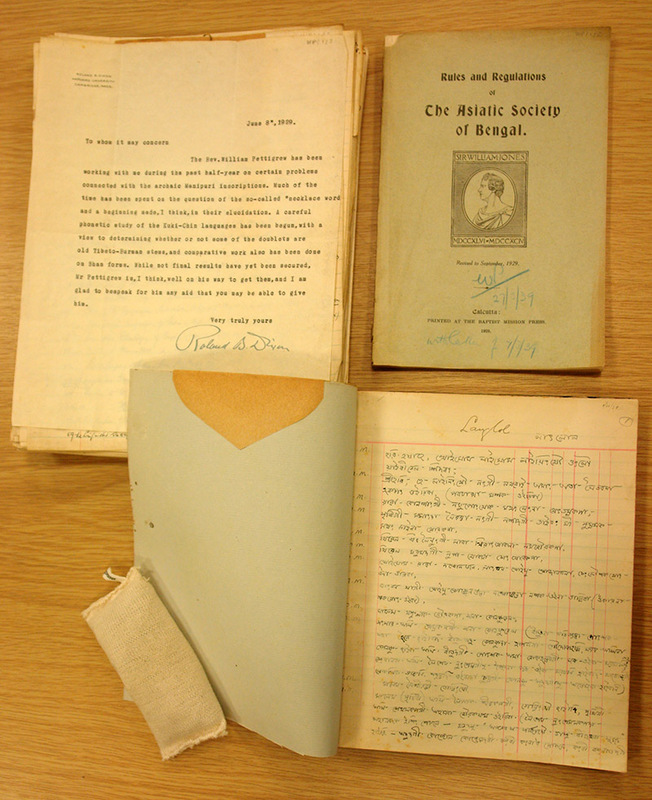 The papers of William Pettigrew at the Royal Asiatic Society consist mostly of his personal notes and manuscripts on the Manupuri Language. 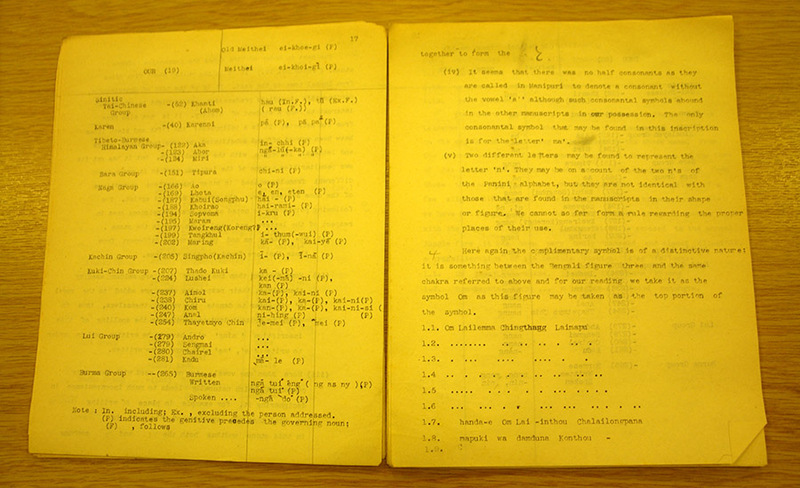 The collection catalogue is available on Archives Hub.